Your space should be functional, and also look as nice as you'd like. The closer your space looks to how you wish, the better you will feel. When you have your bathroom space organized the way you'd like it, consider using plastic containers, if you need containers. This will ensure they are easy to clean. Also, make sure that whatever containers you have can withstand the temperature and humidity changes in your bathroom. Sometimes it's best not to "see" all of your products. If you can't see tons of bottles and labels, it's less to take in visually. Go for containers that have lids or maybe ones that aren't see through. 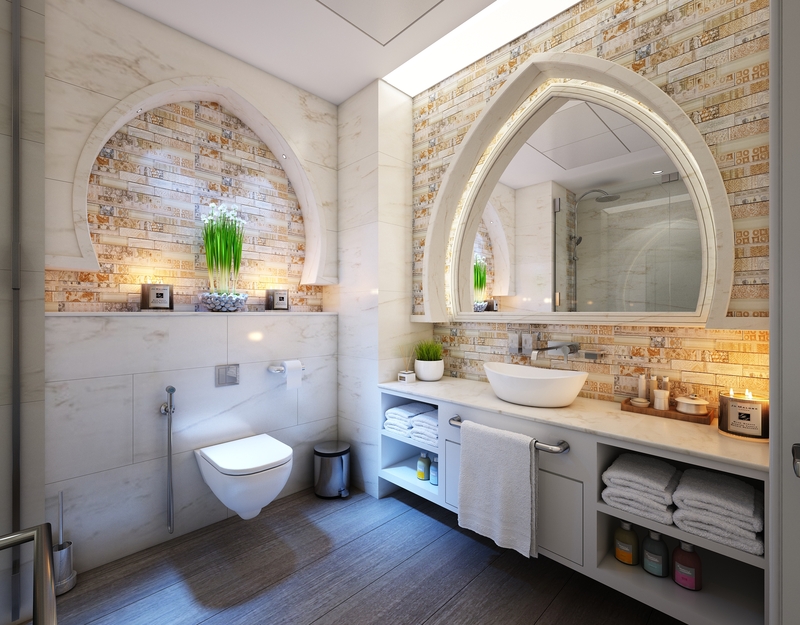 Use containers with a pattern and color that you like and that goes with your bathroom design. When you know you won't be using whatever is in the containers all the time, move them to a higher location so that they aren't right in your easy access space. Keep what you use all the time in prime real estate.